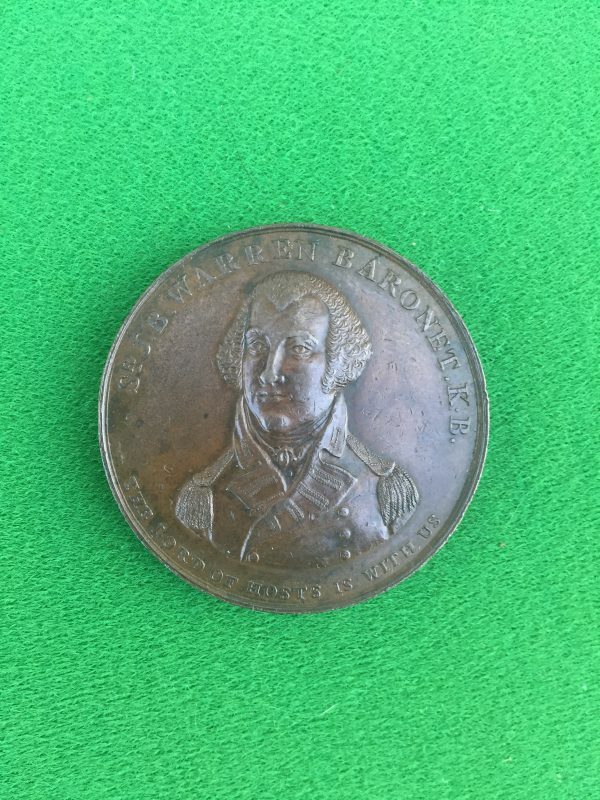 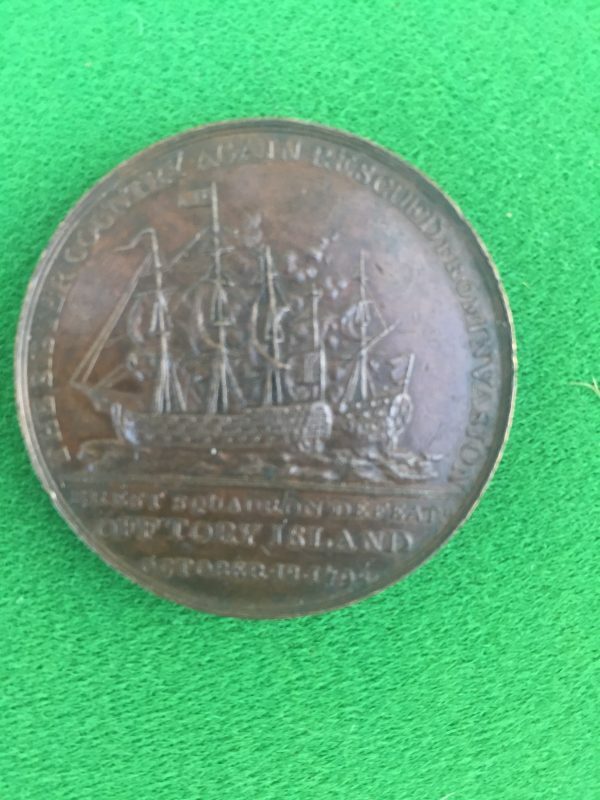 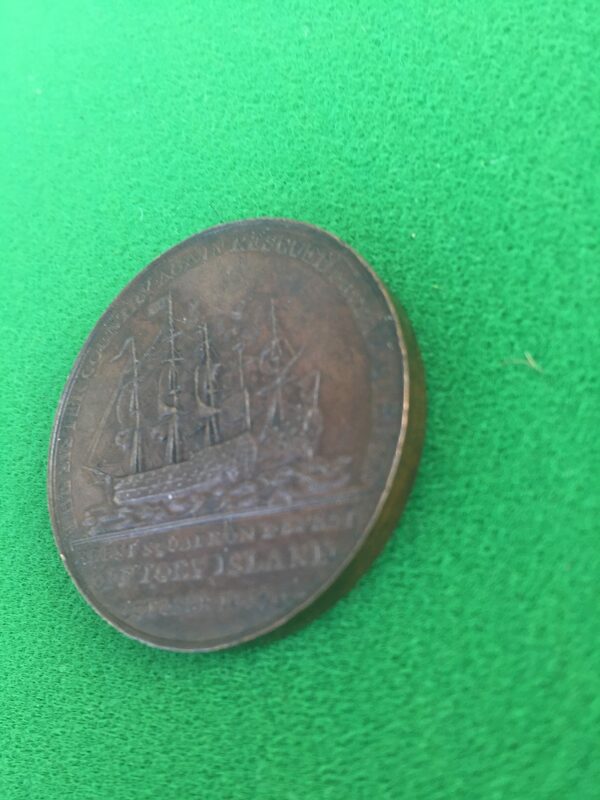 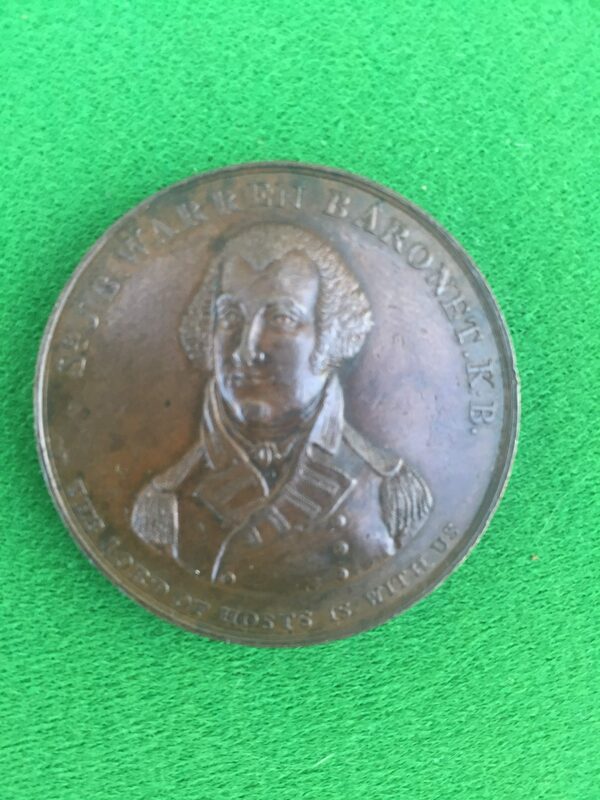 This bronze medal which measures about 38mms in diameter was designed to commemorate the naval action off Tory Island in 1798 by Admiral Sir John Borlase Warren (1753-1822). The reverse: shows a running fight between a British and French battle ship, the latter (French) ship is partially dismasted. This is a fascinating momento celebrating the defeat of the French by the British navy during the action at Lough Swilly at the time of the 1798 Irish Rebellion.